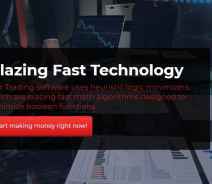 Easy and fast money at blazing speeds! Since the beginning of internet marketing, we have all been exposed to “making easy money” schemes. What they have all been lacking though has been proof, evidence of some kind. So what about the Blazing Trader? If you take a quick look, you will see images from CNN, BBC, Bloomberg and Harvard University all rating this robot trader 5/5 stars! If that’s not proof I don’t know what is. Wow, and there are only 8 spots remaining at the moment of typing. But let’s not get too hyped up just yet: Yes, we better do some good old research! I know, I know… there are only 8 spots left but trust me, you might want to hold on to your wallet and read this review first. Blazing Trader – Are these Members for Real? Let’s start with the images we find on the Blazing Trader’s website. The first ones I checked were the so-called “Members”. It is not unique for these autotrader scams to post pictures of random people they find on the internet as their own members. Thanks to Google being smart, it is easy to expose these fakers! These “members” turn out to be nothing but photos bought from Shutterstock. 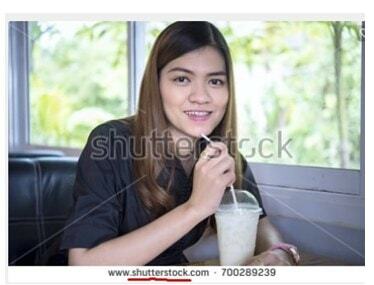 Here is one example, you can clearly see the watermark and the link to shutterstock.com. The other images are also from the same source. How about the Media Reports? Think about it for a few seconds. If something that could make everyone/anyone money with no effort and it went on the news on such big channels like BBC, Bloomberg, and CNN while being backed up by Harvard… would there be 8 only spots left? By the way, I’ve gone back to the site many times and there are always only 8 spots left. Clearly, many things are fake on this site. Let’s Google “Blazing Trader Bloomberg” and see what’s up! Surely, there should be at least one article on this money making a machine that is promising almost half a million dollars per month to their members. Well, guess what, there are none. The Blazing Bullshitter – Been Bullshitting Before! After some brief research and checking other websites. It turns out that these guys were up to another scam called Blazing Trader (also Lie Detector Millionaire scam) and this new scam is just a recycled version of the old one! “The Videos – the videos displayed on the Website are provided for informational and promotional purposes only and should not be relied upon in making decisions and are for simulation only by using actor(s) and demo accounts” – Source, BlazingTrader.co Website Agreement section. Well, what do you know! It was all fake after all and we were just wasting our time. Hahaha! At least let’s give these guys a thumbs up for their honesty. I mean, sure… they are scammers and they have scammed people before but at least they tell you it’s all a hoax. Now that we are having fun though, let’s keep reading in the Website Agreement section to see what else we find, I have a feeling things just get better and better =). These guys said in the pitch video that their autotrader would pretty much NEVER lose a trade and could turn a 250 deposit into 20,000 per day! Now, read the statements above again and think about it a little bit… Well, I think this is a good definition of what oxymoron is. Just for the laughs, let me put the two statements together, the one from the video and the one from the terms and conditions: “We have developed a 100% winning system which is guaranteed to make you money and you should assume you probably will lose money and I can’t guarantee you will be successful”… HUH! 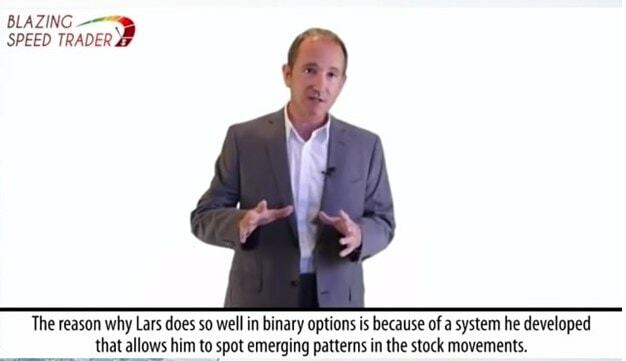 Perhaps we should rename this service to “The Blazing Oxymoron Trader”. I think that about sums it all up – the Blazing Trader is a big scam created by even bigger scammers. If you scroll down on the BlazingSpeedTrader.co website, you will notice a section where it says that you can learn to become a pro trader by learning from Vladimir Ribakov. Clicking this will still refer you to the sign-up page for the Blazing Trader robot and lead you to deposit with a broker. So, who is this guy and is he related to this scam or just a victim? Well, I had never heard of this guy until now but the name and the picture seem legit. 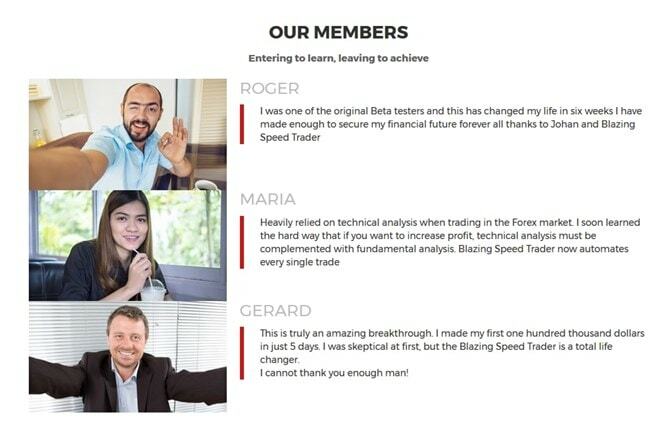 However, visiting Vladimir’s own website, you will notice he is a Forex trader and analyst and has nothing to do with binary options nor does he advertise or is in any way affiliated with Blazing Trader! The guy has an up to date YouTube channel like it was literally 5 minutes ago he uploaded a video and seem to have a good number of subscribers and has commenting allowed there – all indicating he has nothing to hide and nothing to do with these “blazing scammers”. This could happen to anyone, getting hi-jacked by scammers I mean. So I did the right thing and notified him of the situation. Get away from this Blazing Trader scam! That’s it, dear readers. Another easy money scheme busted. These people have no limits. They will use any means to attract their next victim. It’s not unusual for scammers to take advantage of others for their own benefit and drag them into the dirt. In a recent autotrader scam review called “FinTech Limited Robot, ” we even noticed an image of a recently dead/murdered Russian diplomat being displayed as a member. All you can do is to stay updated and educated.